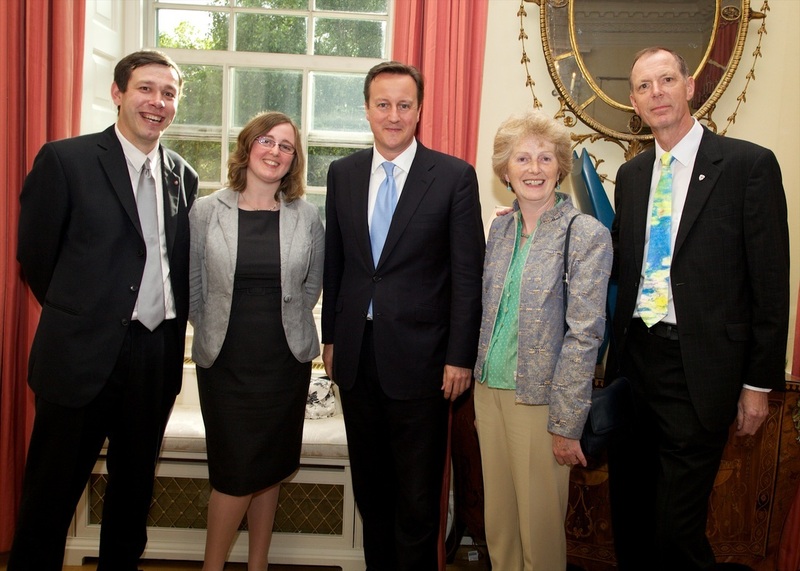 Founder of Street Angels - CNI Network joined wife Jean, Hazel and Steve Brock from Stockton Town Pastors at a reception with the Prime Minister, David Cameron. The event, on 21st June 2012, was held as part of the Big Society Awards day, where the work of Street Angels - CNI Network was celebrated and honoured. The day started at the HMRC hearing from the other 13 Big Society Award winners for 2012 along with seminars around "unleashing the campaigner" and "perfecting your pitch". It was great to meet with other organisations, people from the Big Society Network, Cabinet Office and MP's and share with them the exciting things that are happening within the night-time of over 100 communities across the UK. 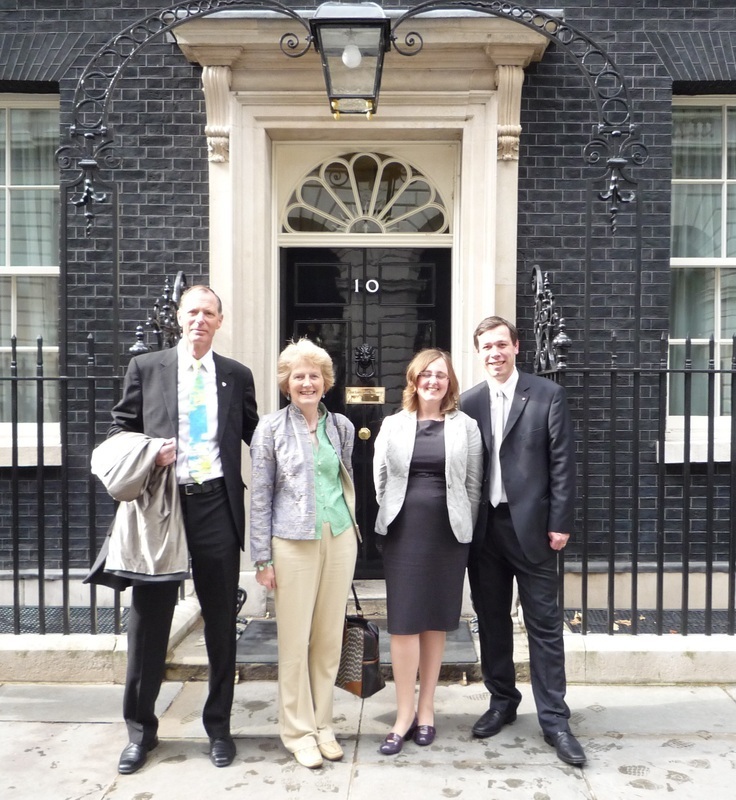 We then made our way to Number 10 where an ITV News crew were waiting to interview us for a web cast and the ITV news. Inside Number 10, over canapés and wine, we mingled and networked with a wide range of people and organisations making some good connections. We then split into individual projects to meet with Prime Minister David Cameron. Mr Cameron chatted to us about our work and told us of a similar project in his home constituency. He admired the work that we do and was impressed by the reduction in violent crime and sexual assaults that accompany schemes such as Street Angels and Town Pastors. After a photo Mr Cameron moved on to the next group. In the main reception David Cameron gave his thanks for all that we do and commented that although we are known as the Third Sector, behind the Public and Private Sectors, really we should be known as the First Sector as we are innovative and creative in our approach to solving and meeting community needs. A PodCast of the talk is available here. Following another opportunity to network the group left Number 10 agreeing that this was a very significant day in the life of Street Angels - CNI Network and honours the massive commitment and investment given to our nation through local projects week in and week out. “Street Angels shows what can be achieved when communities work hand in hand with their local services to make their towns, estates and streets safer places. Paul and his army of volunteers embody the principals of Big Society, with people standing up and taking an active role in building the type of community they want to live in – one that looks out for the vulnerable and says no to the drunken, loutish, criminal behaviour that can too often blight communities. I’m delighted this approach has been used to tackle the very same issues in other towns and cities, as far away as Australia." "The amazing impact and thousands of volunteer hours invested into around 120 local communities each year is outstanding! To be presented the Big Society Award and to be part of the Big Society Network is testimony to what can be achieved when people commit to community and partner with other agencies. Well done to all part of a local project - the Big Society is for you"